Is your comfort investment protected from unforeseen problems? If not, we suggest the unbeatable preventive maintenance of our service agreements. Each agreement helps protect you from costly, out-of-pocket repair expenses, and we ensure your comfort year round by offering agreements for all types of systems, including oil furnaces and boilers, gas furnaces and boilers, central air conditioning systems. 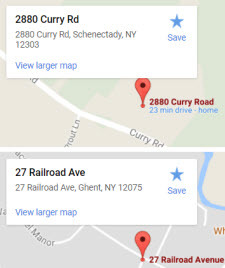 What’s more, all plans come with our round-the-clock service. That’s comfort you can count on. We never stop looking for ways to better serve our customers. It shows in the outstanding service we deliver all year ’round. 4 Simple Steps to Reduce Your Heating Costs. Weatherize your home. Insulation and air-sealing improvements to the shell of your home will always improve your comfort, regardless of the size and type of heating system installed. Weatherization may also allow the installation of a smaller, more economical heating system. Use a programmable thermostat. This simple, inexpensive device may provide better savings than most other efficiency measures. Maintain your system periodically to yield immediate energy savings, improved comfort, and a longer trouble-free service for any system. This includes duct repair and replacement. 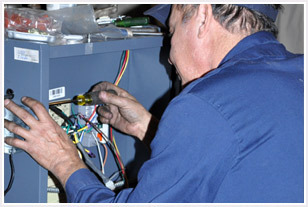 Hire a professional technician to service your heating equipment. Qualified technicians can often identify safety and efficiency issues that aren’t immediately apparent. A professional can also teach you about the operation of your heating system and the role you can play in performing minor service tasks. 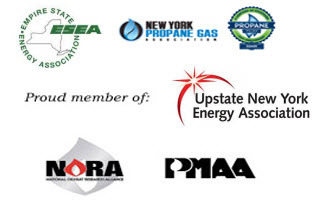 Long Energy is proud to service Columbia, Schenectady, Albany, Saratoga, Schoharie, and Rensselaer Counties. If you would like more information, have any questions, or you would like Long Energy to help you with your home’s energy, contact us today. I certify that the information contained in this application is correct to the best of my knowledge and this application is submitted on the basis of a legitimate permissible purpose for credit reports. UPON APPROVAL OF THIS CREDIT APPLICATION I AUTHORIZE LONG ENERGY TO DELIVER ALL OF MY FUEL NEEDS.